DBPOWER N6 uses Sony’s IMX078 image sensor and 7-layer lens. The chipset is NTK96660. When all these components are combined – you get excellent video quality. 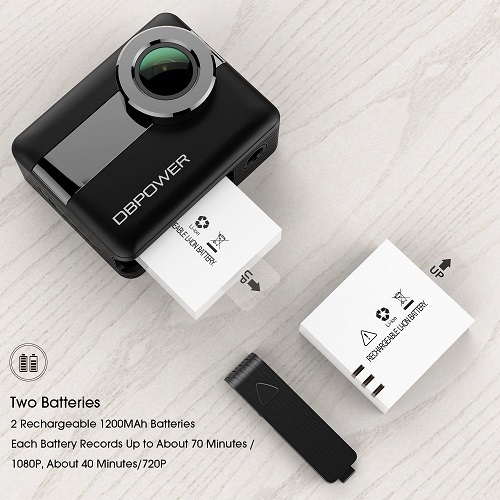 The DBPOWER N6 action cam can record in 4K at 24fps, and if you want higher fps (frames per second rate) – you can choose the 2.7K video quality. I do want to mention that while the video quality is excellent, there are similar action cameras with a little bit better quality – for example YI 4K (Amazon link). The YI 4K model is very popular as well. Is it better than DBPOWER N6? well, as I mentioned – the video quality is indeed a little bit better – in my opinion. The other features and options are fairly similar. If you want to check out more affordable action cameras, that also record 4K – I highly recommend the Fitfort sports camera (Amazon link). This camera became super popular in the last few months – and it offers amazing value for you money. Keep in mind that DBPOWER N6 does have some features that Fitfort does not – so that’s something to keep in mind. 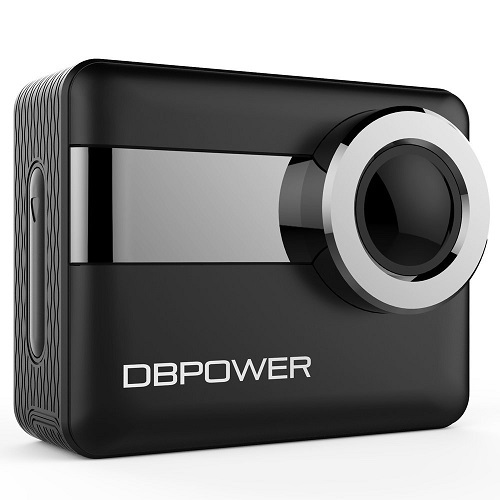 The DBPOWER N6 4K Wifi action camera supports MicroSD memory cards up to 64GB. That’s a huge advantage. Most action cameras ,especially in this price range – only support 32GB cards. But thanks to the powerful chipset, DBPOWER N6 supports 64GB memory cards as well ! The card is not included, so you will have to buy it separately. I recommend class 10+ microsd cards. If you buy a cheap and generic card – it may not work well. That does not mean you have to buy a fancy MicroSD – any class 10 Microsd memory card will work. Sony and Sandisk make great ones. The 2.31″ touchscreen is very nice – sharp image. Some people prefer action cameras with bigger screens – but you have to remember that a bigger screen means less battery time. In my opinion – the screen size of this model is great – pretty much the standard. This is not the only DBPOWER N6 review mentioning that by the way. Currently (22/09/2017) – the device comes with 2 batteries. Each one can last 40-60 minutes – depending on the video quality and some other factors. It’s great to get the second battery without you having to buy it separately – because it is not very cheap. Not all action cameras, even in this price range – come with 2 batteries. DBPOWER N6 4K comes with some mounts and accessories. Using them you can attach the device to almost anything – for example – your helmet. A waterproof case is included as well. It takes few seconds to install it properly, and then you can start recording really amazing videos underwater. Some people like keeping this case on all the time – for added protection. It can be a good idea, as long as you don’t need the best sound quality. When the case is installed, because it is sealed – the sound quality is not so good. That’s a very common thing with all sports cameras -so no worries. 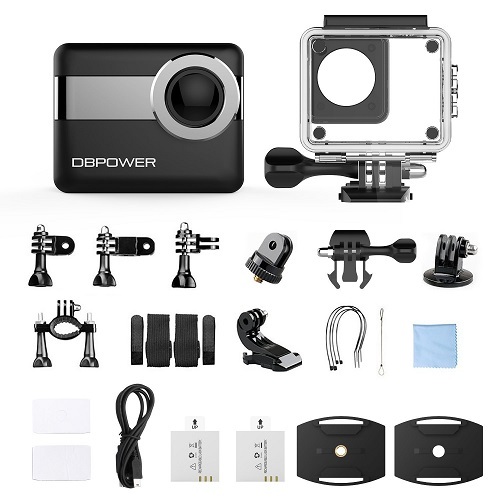 If you are looking for a great action camera with excellent video quality – consider buying DBPOWER N6 . It works well, comes with accessories and you can even use it underwater (with the waterproof case installed). In my opinion it is defiantly worth buying. If you have any questiosn about the device – feel free to comment below. Make sure to check out other product reviews, like this DBPOWER N6 review – on our website !